Please think of the veterans who won't be coming home to take advantage of all those sales that "honor" them. God bless our fallen heroes. God bless the families and loved ones they leave behind. 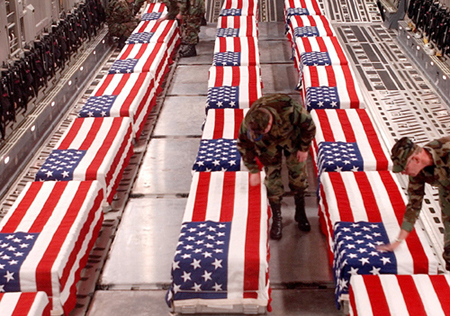 God bless the more than 600,000 innocent Iraqis who have been killed in the US-Iraqi war. And ask President Bush why he has never attended one funeral of any soldier killed in the US-Iraq war. Is being a cog a bad thing?